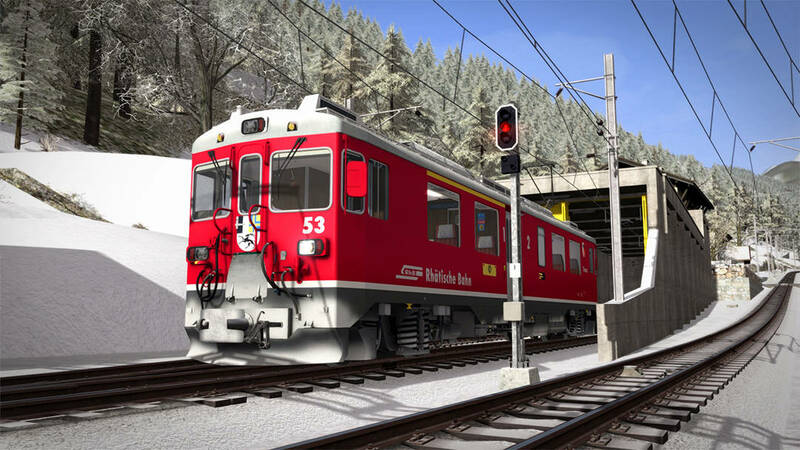 The star of the show will be the ABe 4/4 III, a railcar dedicated to serving the Bernina Pass. 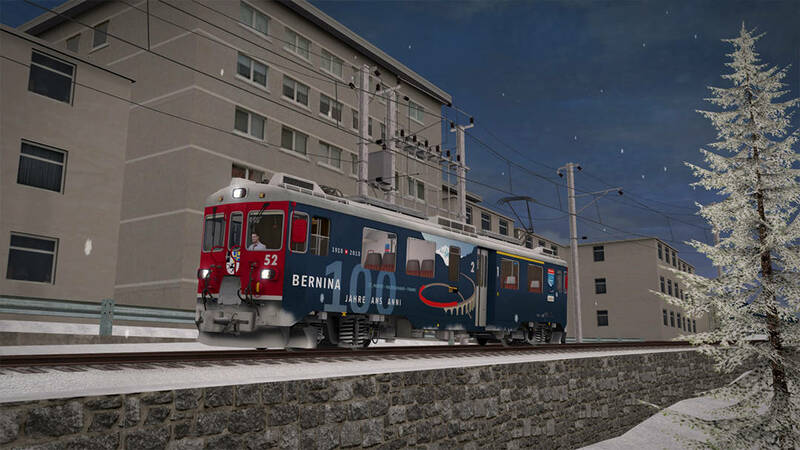 Unlike previous RhB traction to come to Train Simulator over the years, the ABe 4/4 III is neither a locomotive nor a multiple unit, but a combination of the two. 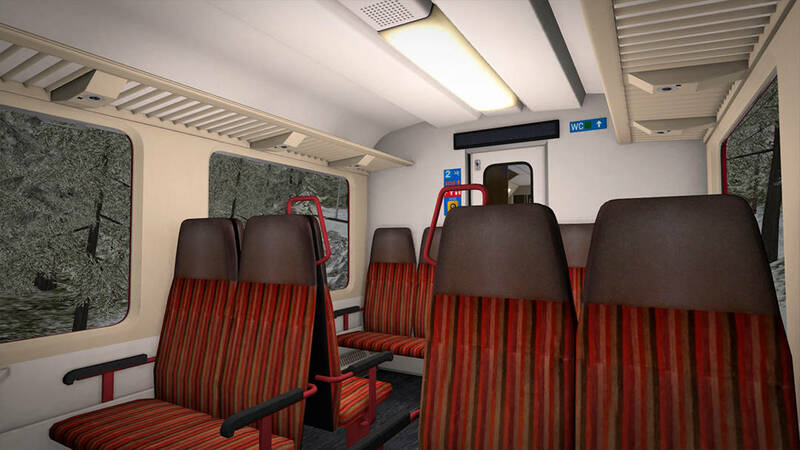 It can operate independently with its own 1st and 2nd class seating capacity. However it is more commonly seen operating in multiple, hauling rolling stock over the pass on services including the Bernina Express. 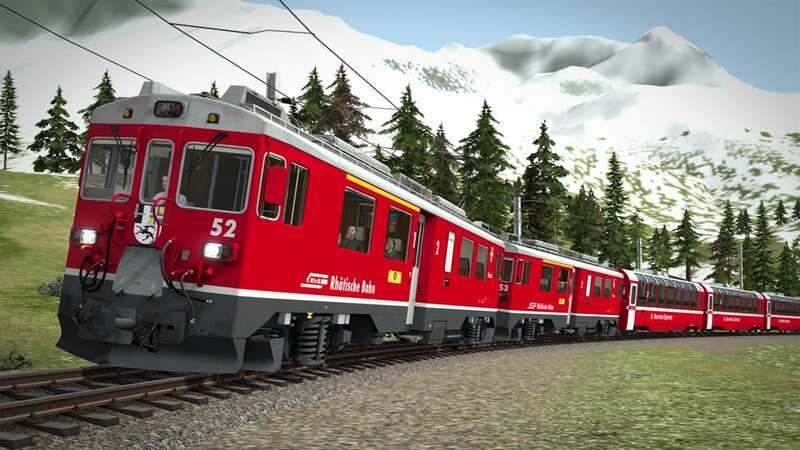 With the RhB Enhancement Pack 3, the ABe 4/4 III will include all six railcars in standard red RhB livery (numbered 51 to 56), each with their own body side crests. 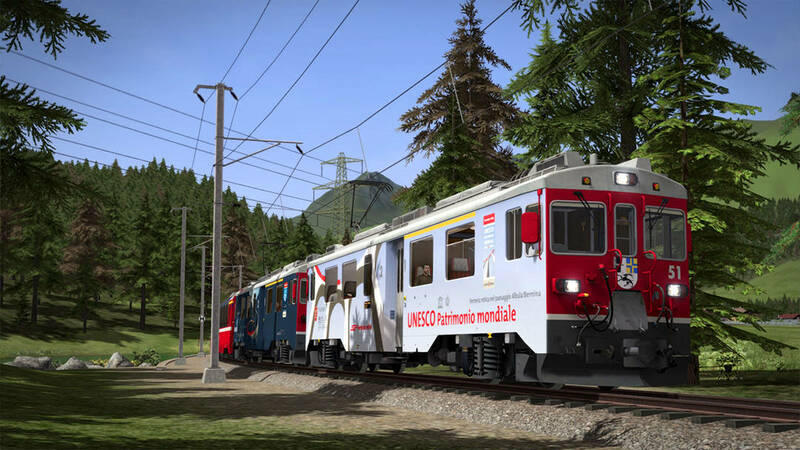 In addition two promotional liveries will also be included, vehicle 51 promoting the Unesco World Heritage status of the Albula and Bernina lines, and vehicle 52 celebrating the centenary of the Bernina Line. 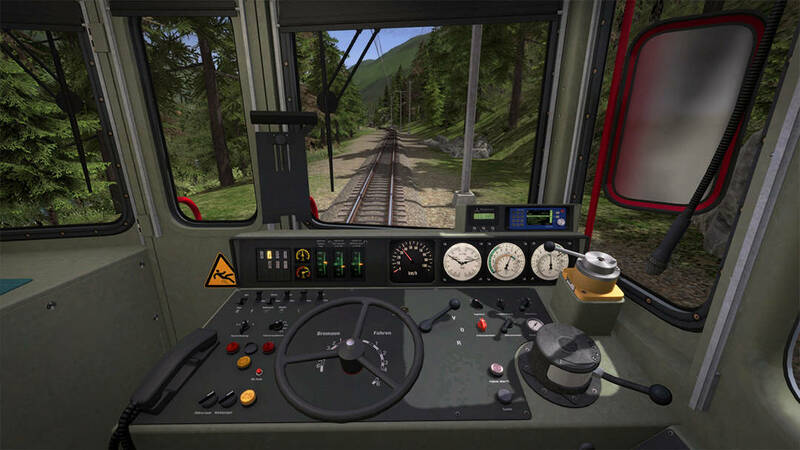 Features range from dynamic pantographs, detailed passenger views with random window animation and animated passenger doors, speed set and traction motor blower control, opening cabin windows and much more. 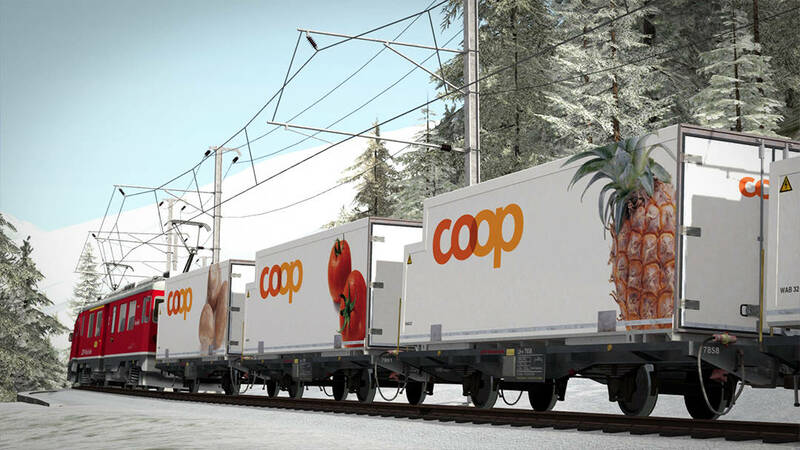 To complement the ABe 4/4 III, the RhB Enhancement Pack 3 will also feature ten different officially licensed Coop swap body Lb-v wagons for authentic Alpine operations. 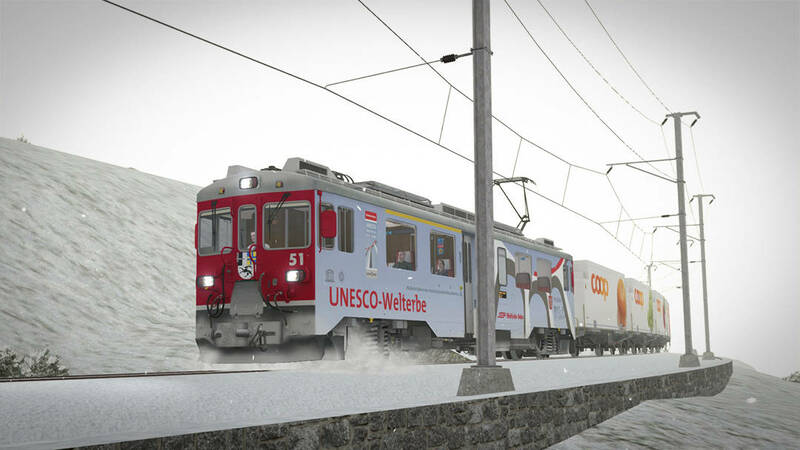 To bring it all together, the pack will be fully quick drive compatible with the Bernina Pass route, and a set of engaging Career scenarios are also to be included. 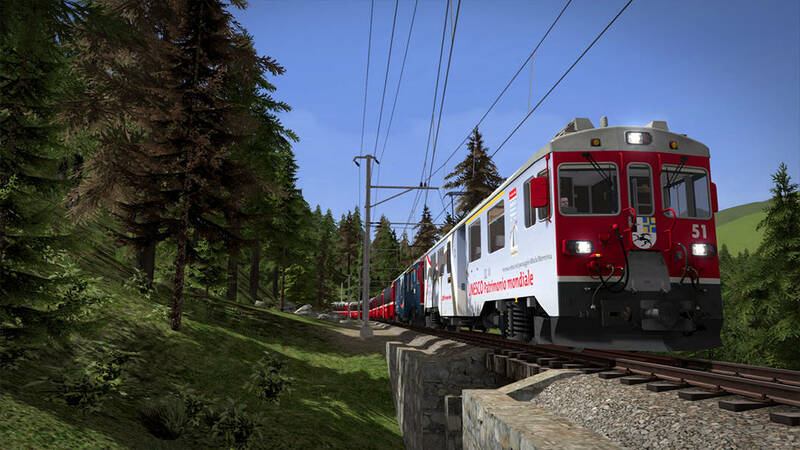 Watch this space, as classic railcar action is set to come to life in the upcoming RhB Enhancement Pack 3 for Train Simulator!